Featuring (the obligatory list of creators that I’ve interviewed, read their work, met at a con, etc. Because that’s what listing names mean: Hey! I know them! And you should too! ): Box Brown, Farel Dalrymple, Alex Eckman-Lawn, Meg Gandy, J.G. 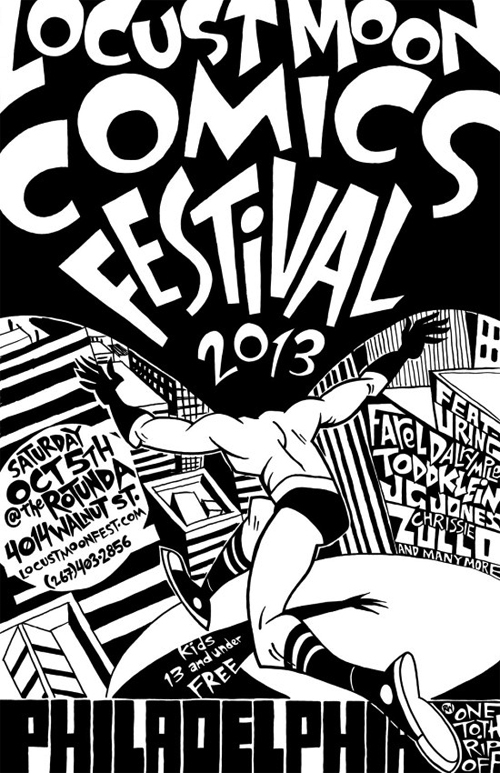 Jones, Todd Klein, Benjamin Marra, Ed Piskor, Rafer Roberts, Tom Scioli, and Chrissie Zullo. Saturday October 5th, 2013. Be there!